A good melange of scholarly thinking and yet readable to those who are not anthropologists, philosophers, or neuroscientists. Your ideas are good. Your hypothesis makes sense, seems cogent, and is well-founded. Equating [religion] with the evolution of consciousness is a reasonable approach. Matt Rossano, Professor of Psychology, and author of Supernatural selection: How religion evolved. I like the idea of religious experience as a way of dampening out dissonance, the internal conflict between the emotions and the logical-symbolic executive with its nagging internal narrator. You may be on to something there. Darwins Apple is, for me, one of a small number of books that illuminate the human experience in new and exciting ways. Diamond makes a convincing case that individual religious practice is grounded in evolutionary biology, and in so doing, provides a framework for thinking about culture that will make a real difference in my practice as a historian, and in my understanding of the world. You are doing better with understanding and explaining our conscious mind than anyone else I have read. 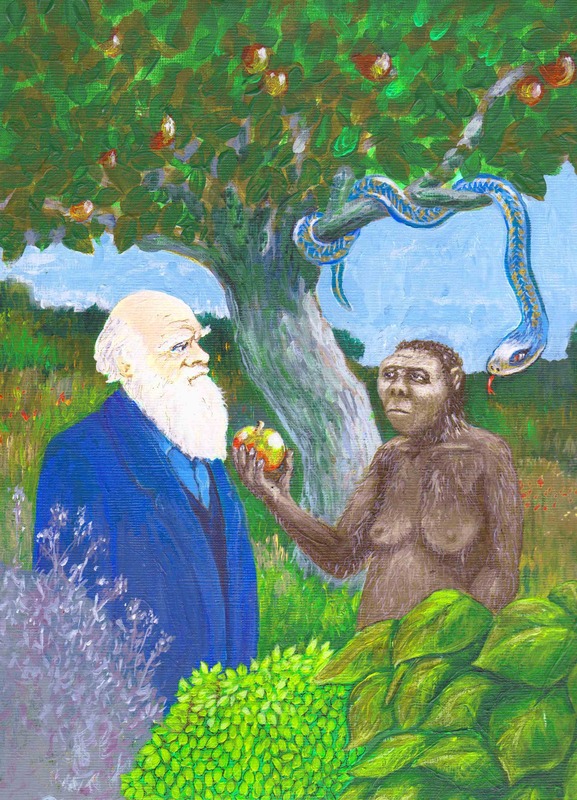 Diamond's Darwin's Apple hypothesis is quite compelling and thought-provoking. Religion is so pervasive in human development. Surely it is more than just a byproduct of other evolutionary developments. Mitch examines these issues at great depth. His talks display a mastery of the scientific literature on the subject, an ability to explain those ideas to non-experts, and the ability to think on his feet. I'm so glad you came and spoke to our group. You certainly had an enthusiastic audience, and now, weeks later, people are STILL telling me how much they liked your talk. Come back any time. Thanks for your engaging and informative presentation. I loved the challenge in your ideas, the clarity of the exposition, and the depth of your research. The audience found your ideas provocative and stimulating, and, I'm sure, enjoyed the thoroughness with which you answered their questions. In the midst of modern societys ongoing scientific and technological revolution, religion persists and is practiced by most people in the world. Even people who claim to be agnostic or atheist engage in irrational activities such as listening to music, looking at art, or, despite their overt beliefs to the contrary, anthropomorphizing things in their lives: naming ones car, cursing a truculent computer for being disagreeable, bestowing human intentions to pets. To the detached observer (think Mr. Spock), religious behavior is a bizarre and senseless activity particularly from an evolutionary point of view. Religion seemingly fulfills no functional or useful objective. Yet after tens of thousands of years, it continues to be an essential part of peoples lives. I propose a new hypothesis for the origin and purpose of religion that, as far as I am aware, has never been advanced before. My hypothesis may be difficult for many people to accept because it challenges long-held assumptions about our place in the world—that human consciousness is a cognitive gift that controls or dictates our everyday actions. While the science undermining this is quite overwhelming, this notion conflicts with peoples sense of their own volition, control, and purpose. Because some people who normally champion science will decline to accept this possibility that humans are not so special and are, in reality, far more like other animals, this book will test their faith that science truly does explain the world. If you are one of those who believes that science and evolution explain the derivation of life forms on earth as Richard Dawkins does, do you also believe that humans evolved similarly and that all human characteristics, including behavior, derive from evolution as well, even religion as Richard Dawkins doesnt believe? If we think in typical terms about features that contribute to an organisms evolutionary success—obtaining food, avoiding predators, finding mates—religion is a conundrum. It doesnt directly do any of those things. While some claim religion supports these survival strategies, religious behaviors do so with non-utilitarian, evolutionarily expensive rituals. The creation of and participation in rituals of music, dance (and other forms of physical movement), visual art, mythology (narratives, fiction), and prayer is ubiquitous yet doesnt discernibly contribute to survival and reproductive success. Nevertheless, the task is not to abandon evolution and glom on to alternatives like byproduct explanations (only slightly more credible than intelligent design). Rather the goal is to unconditionally revisit and reconsider religion within the incontrovertible theory of evolution. Many academics are, in fact, doing that today, but the results are insufficient. We still lack an overall theory of religion. I urge you to consider the theory espoused here and critique it as appropriate. Thank you for looking at my ideas. I welcome your feedback.